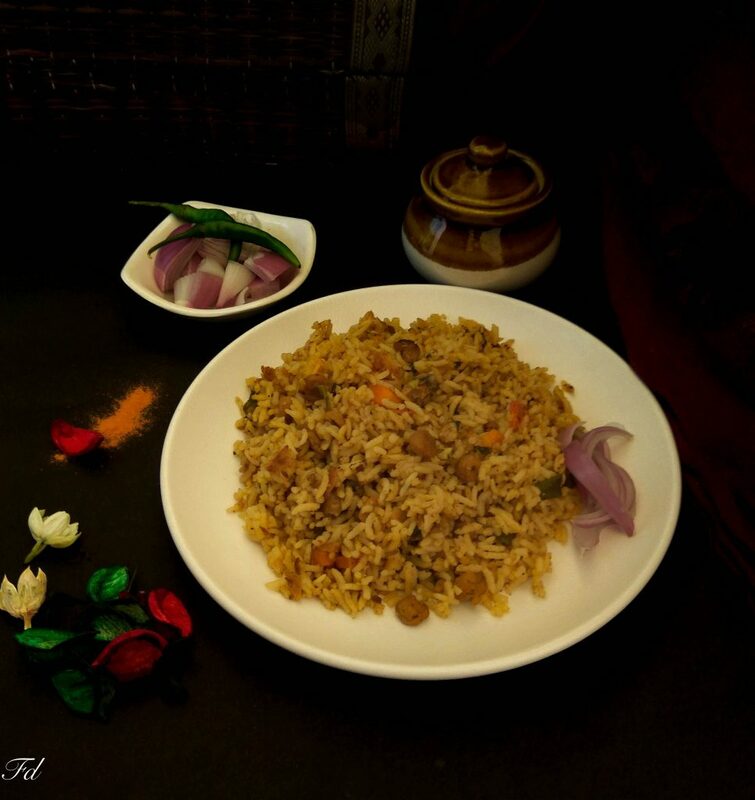 Nutritious and protine rich soya nuggets/ chunks cooked with rice to prepare this pulao. 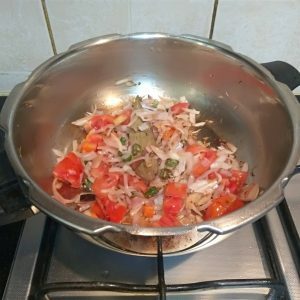 A quick rice recipe with minimal spices, yet a tasty and healthy meal for lunch or dinner. 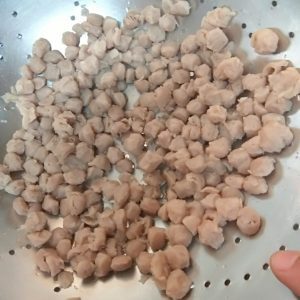 Soya nuggets are cooked and then shallow fried which enhances it’s taste. Wash and soak rice in for 1/2 hour. 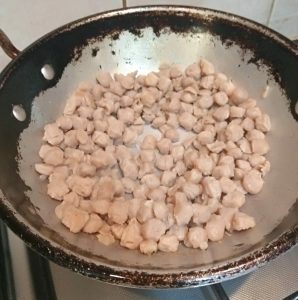 In a sauce pan add water to cook soya nuggets, bring water to boil and drain the water. 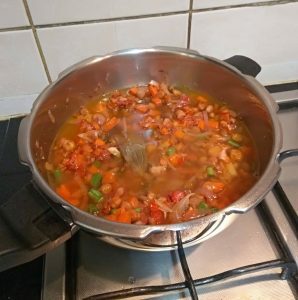 Allow it to cool down and squeeze the excess water. In a frying pan/kadai heat 1 tsp oil add soya nuggets and fry for 7-8 minutes by adding salt, chilly powder and 1 tsp vegetable masala. 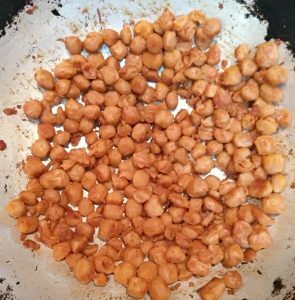 Mean while in a small frying pan, lightly roast masala and grind to fine powder using a mortar pestle or the small bowl of mixer. Cut onions into thin slices and vegetables into small cubes. Keep aside. In a pressure cooker heat oil. 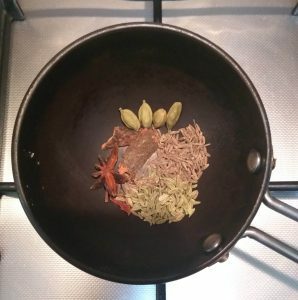 Add bay leaves, cumin seeds with green chillies, garlic, ginger. 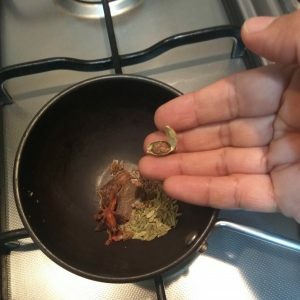 Saute for few seconds. Now add onion fry till it turns golden brown in colour. Add tomatoes mix well. 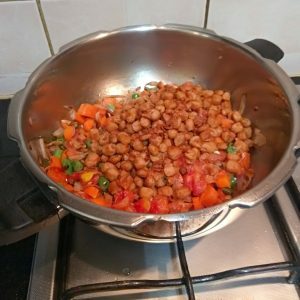 Add in chopped carrots and beans, with soya nuggets. Add the masala with enough salt, turmeric powder, chilly powder. 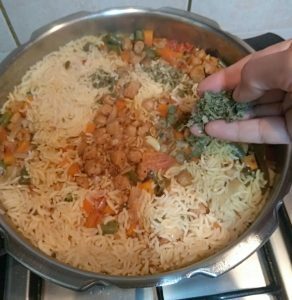 Add soaked and drained rice to the cooker, with enough water for rice to cook. Gently mix in. 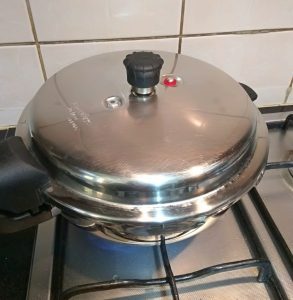 Close the lid and cook in medium heat till pressure cooker gives 1 whistle. Switch off and allow to cool down. 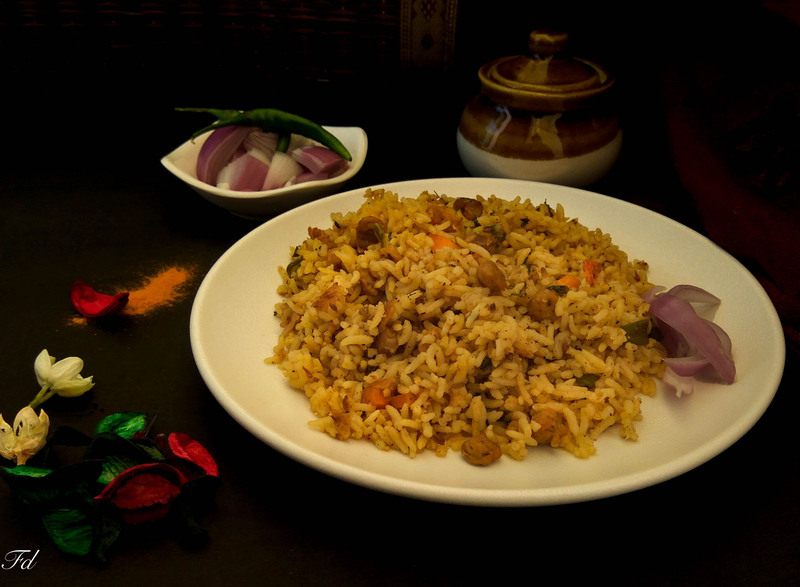 Pulao is ready, dish out and serve with Raita and pappad. Wash and soak rice in for 1/2 hour. 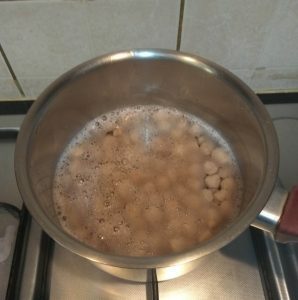 In a sauce pan add water to cook soya nuggets, bring water to boil and drain the water. 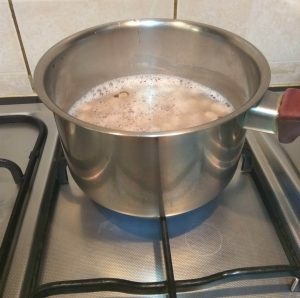 Allow it to cool down and squeeze the excess water. In a frying pan/kadai heat 1 tsp oil add soya nuggets and fry for 7-8 minutes by adding salt, chilly powder and a pinch of garam masala. 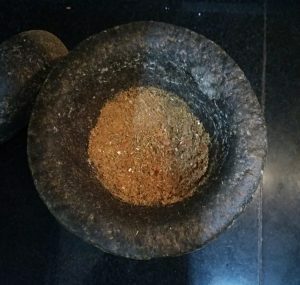 Mean while in a small frying pan, lightly roast masala and grind to fine powder using a motar pestle or small bowl of mixer. Cut onions into thin slices and vegetables into small cubes. Keep aside. 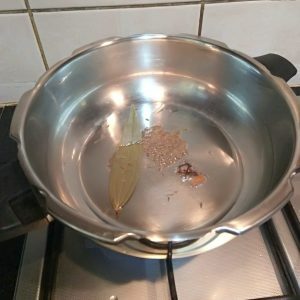 In a pressure cooker heat oil. Add bay leaves, cumin seeds with green chillies, garlic, ginger. Sauce for few seconds. 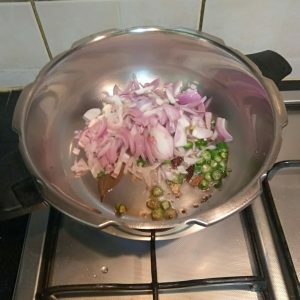 Now add onion fry till it turns golden brown in colour. Add tomatoes mix well. 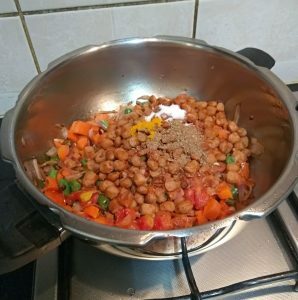 Add in chopped carrots and beans, with soya nuggets. Add the masala with enough salt, turmeric powder, chilly powder. 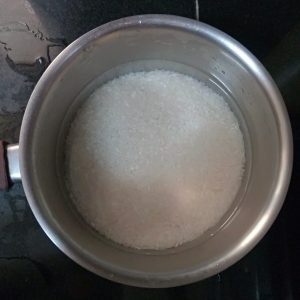 Add soaked and drained rice to the cooker, with enough water for rice to cook. Gently mix in. 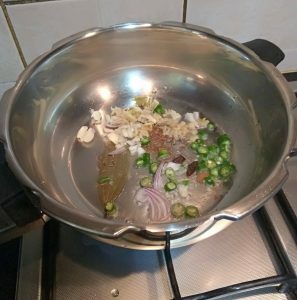 Close the lid and cook in medium heat till pressure cooker gives 1 whistle. Switch off and allow to cool down. 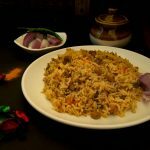 Pulao is ready, dish out and serve with Raita and pappad.